The perfect addition to any of our tours. Enjoy a unique and unforgettable perspective with a hot air balloon ride over Wadi Rum desert. 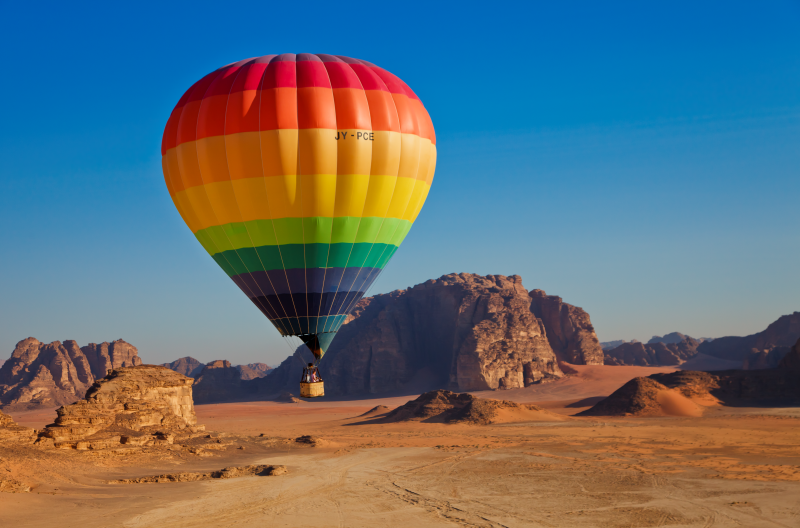 We can arrange an hour long balloon ride over Wadi Rum as part of your tour for just 150JD extra per person. This price includes transport to and from the balloon site and our camp. Balloon flights are weather-permitting, so unfortunately, a guaranteed confirmation is not possible. Of course, if the balloon ride cannot happen there will be no charge.